The Blackhawks season may be coming to an end tonight. 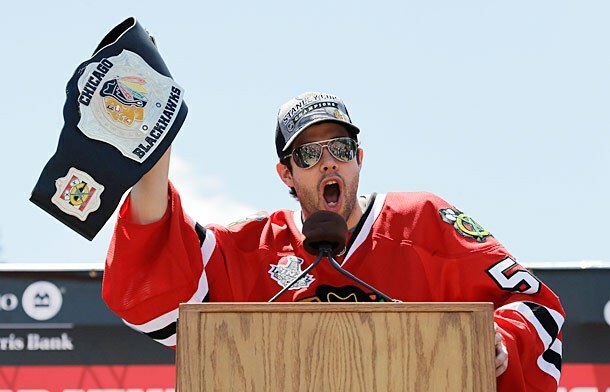 If it does there will be plenty of Blackhawks fans that blame Corey Crawford for the collapse. They’ll do this because it’s much easier to blame the goalie instead of looking up the stats that show Patrick Kane, Marian Hossa and Patrick Sharp have combined for one goal and two assists in the first four games of the series. 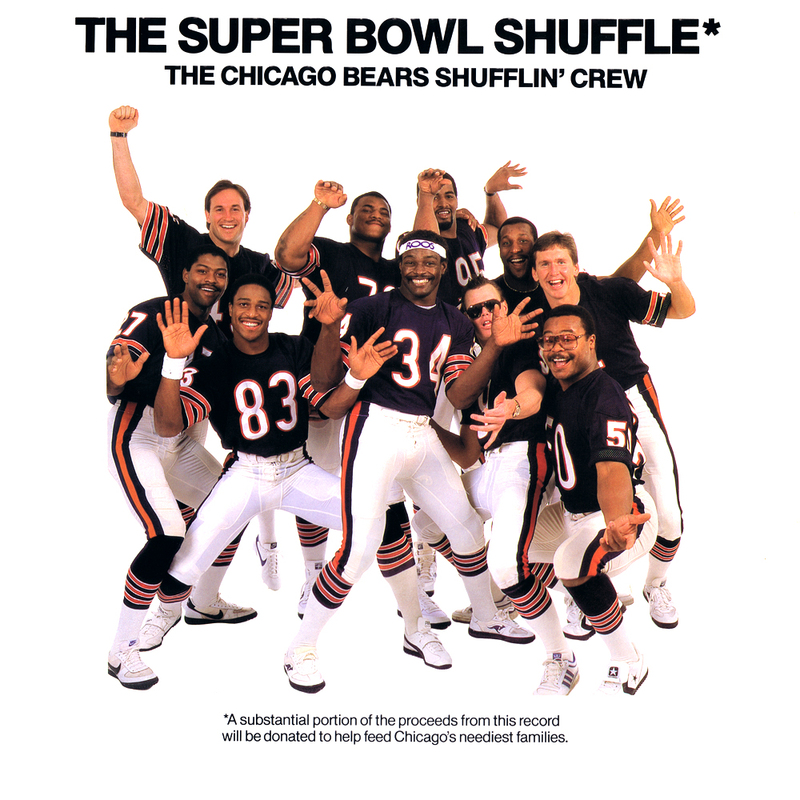 But be forewarned, Lazy Blame Layer, Corey Crawford will assault you with water. Here’s something we haven’t seen much of in the first period and a half of Game One: a save. An awesome save at that. 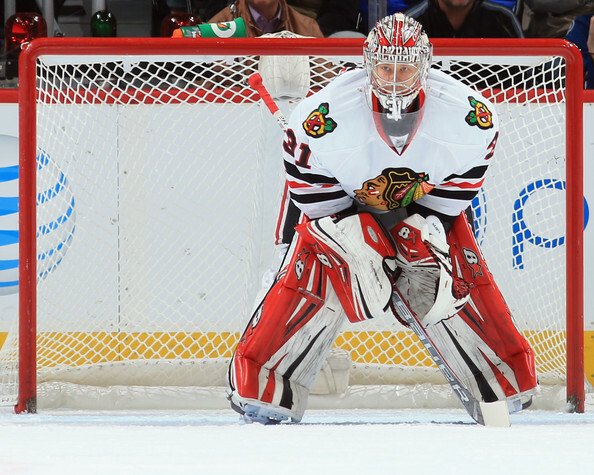 The Blackhawks need to make a change in net, but it has nothing to do with Corey Crawford. Antti Raanta had a bad night in the net on Tuesday. It wasn’t all his fault as the Blackhawks defense made its fair share of mistakes in front of him, but sometimes you need your goalie to bail you out. Raanta hasn’t been doing much of that in his time with the Blackhawks this season. Bryan Bickell may be Joel Quenneville’s current scapegoat, but he’s far from the only problem with the Blackhawks right now. 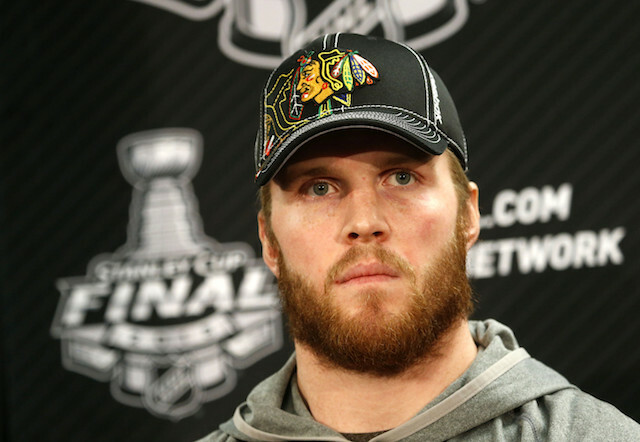 Bickell’s biggest mistake seems to be accepting the $16 million contract the Blackhawks offered him in the offseason. Bickell was benched on Sunday night against Winnipeg, as Quenneville looked to shake things up on a team that’s been coasting a bit too frequently these days, and it paid immediate dividends. The Blackhawks managed to score one whole goal on 35 shots while blowing their 1-0 lead in the third period to lose 3-1!